It took twenty hours, but we’re finally here! Limo, jet, prop plane, shuttle, train, taxi, and rental car. What a trek! 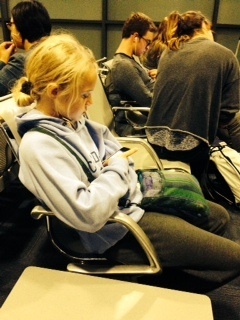 Here’s the girl in Dublin where we had to change planes. We flew a prop to Edinburgh! 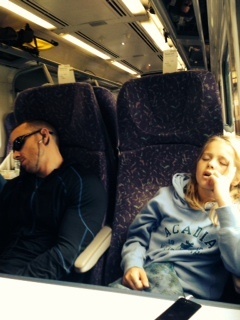 Caught the shuttle to Waverly Station, and the train to Inverness. Sheep everywhere! Taxi to the Inverness airport to get our rental car, got lost finding our cottage, shopped for dinner at Tesco, and finally made it to Hazelgrove. 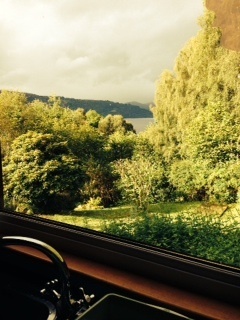 Here’s my view of Loch Ness while making dinner. Watching Braveheart, immersing myself in everything Scottish! So happy to be here! Thank you for making it possible. 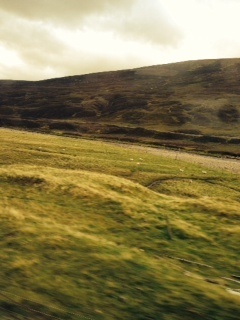 Soooo happy you’re able to blog about it and so we can travel the Scottish land vicariously through you!